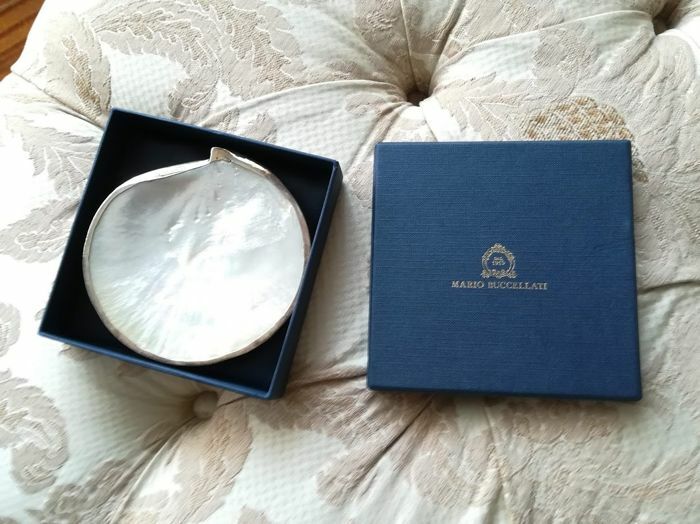 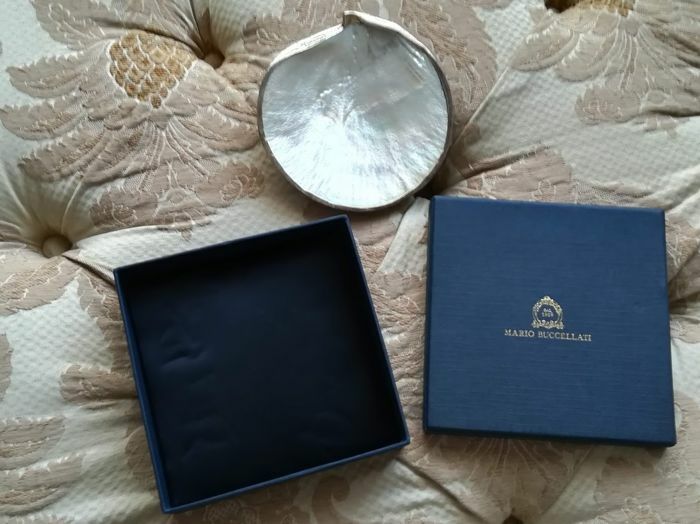 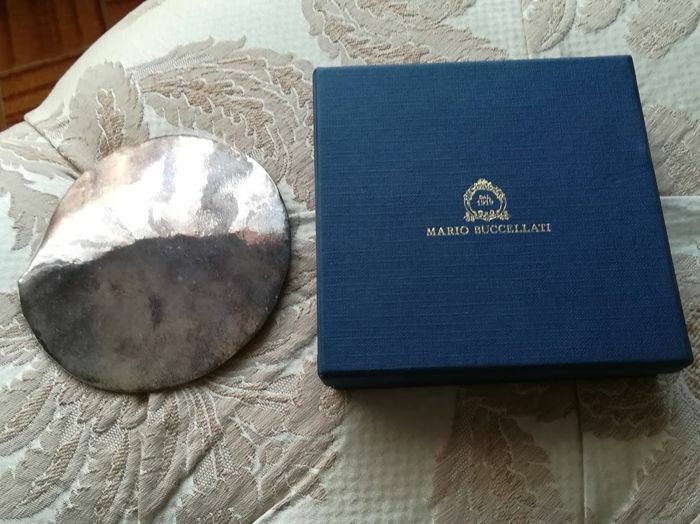 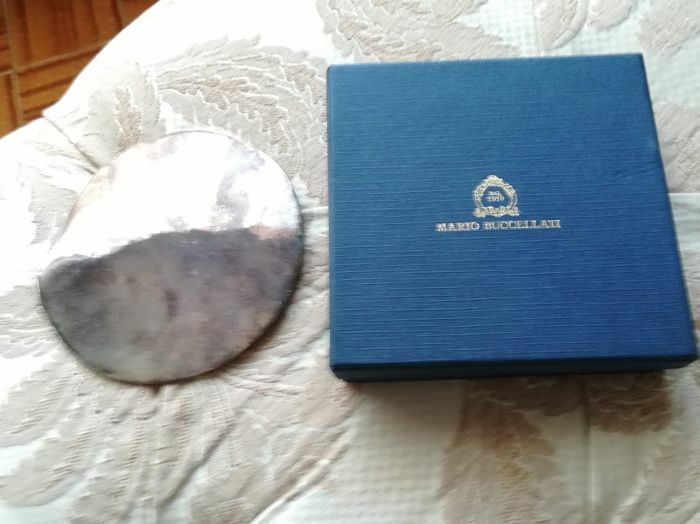 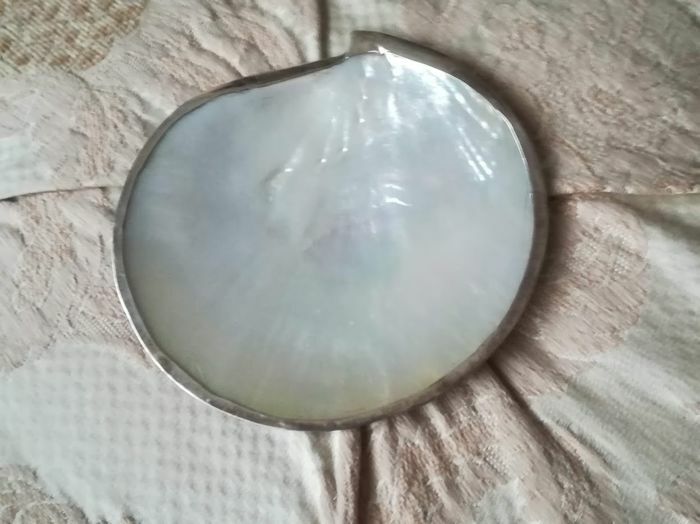 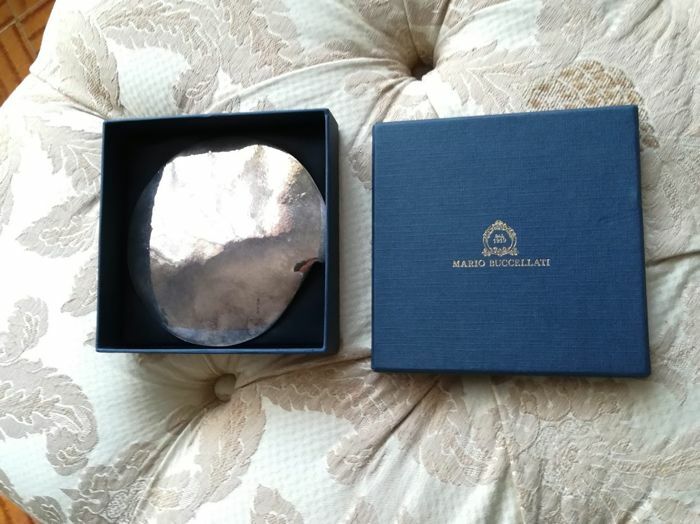 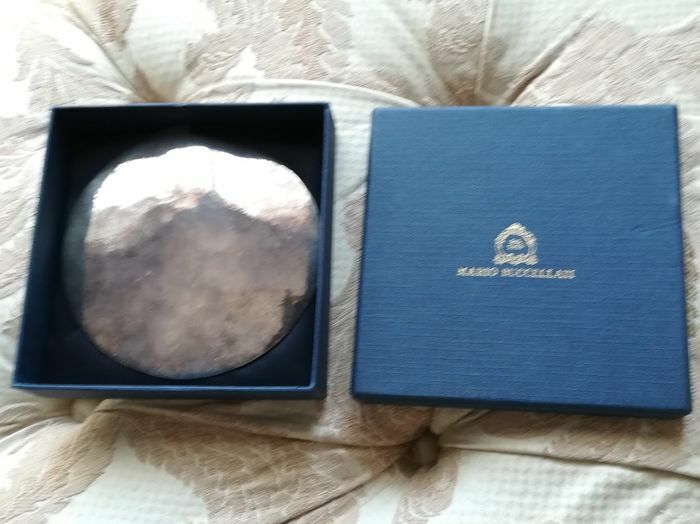 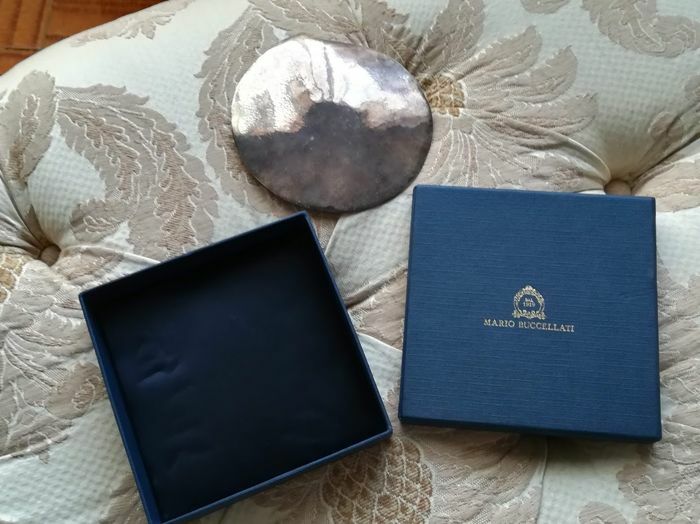 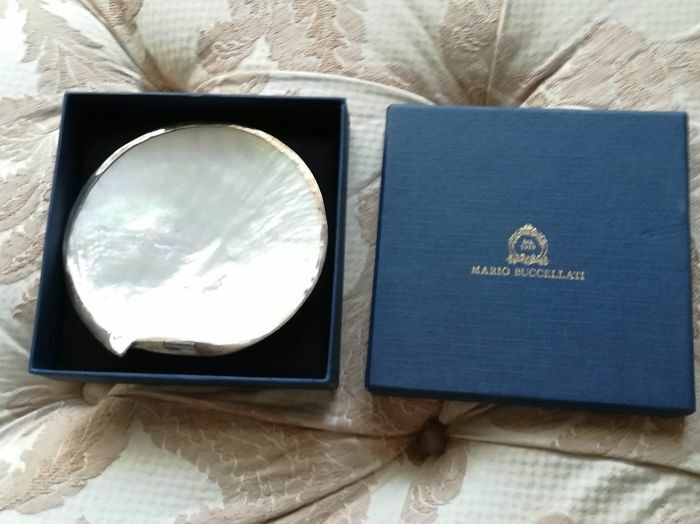 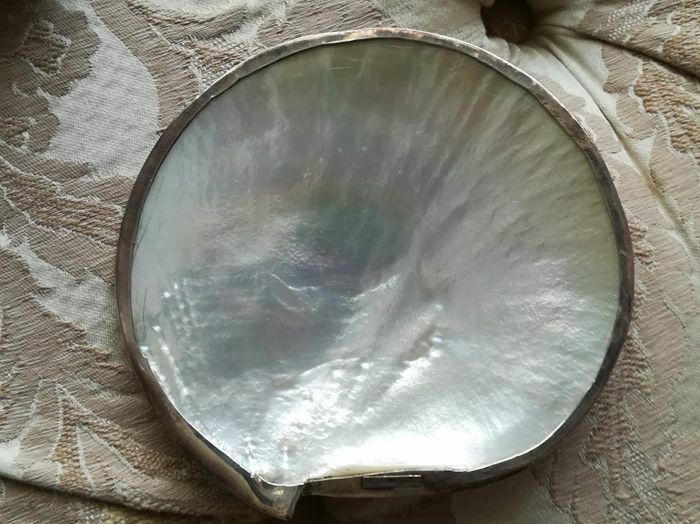 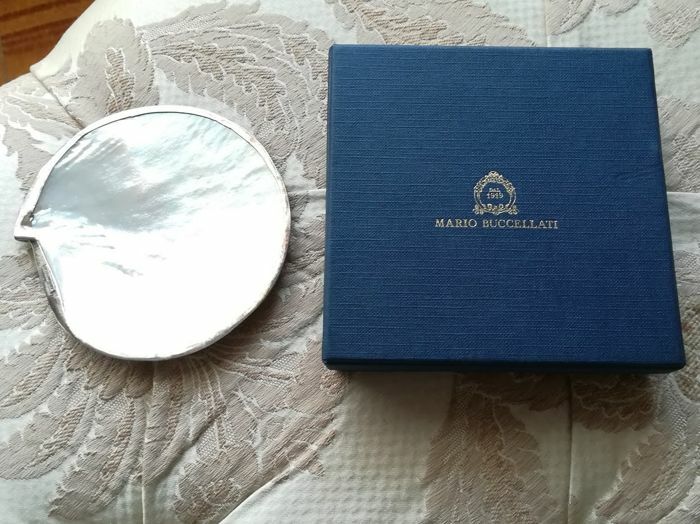 Silver coated Shell signed by "Mario Buccellati", with its box. 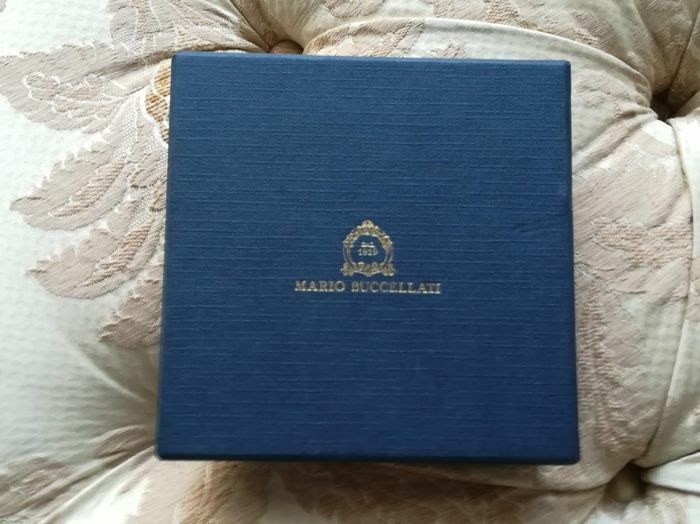 Unused, well preserved. 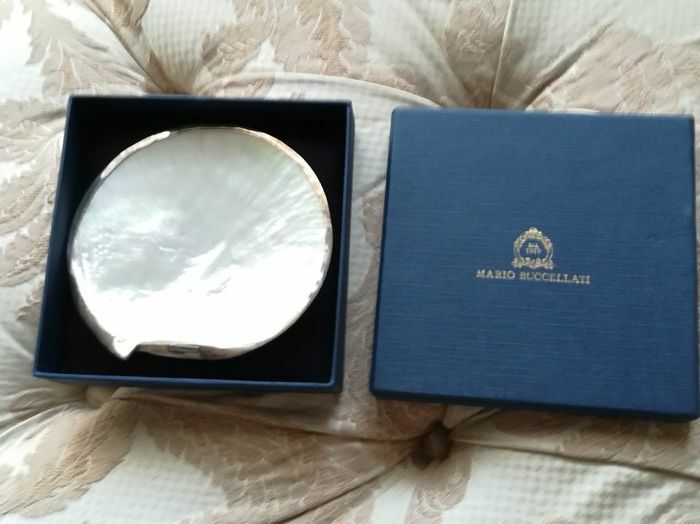 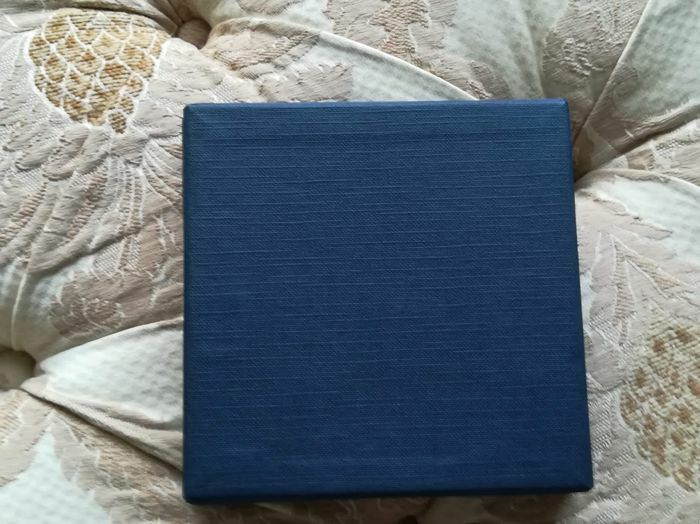 Purchased as a collector’s item to be part of a luxury collection. 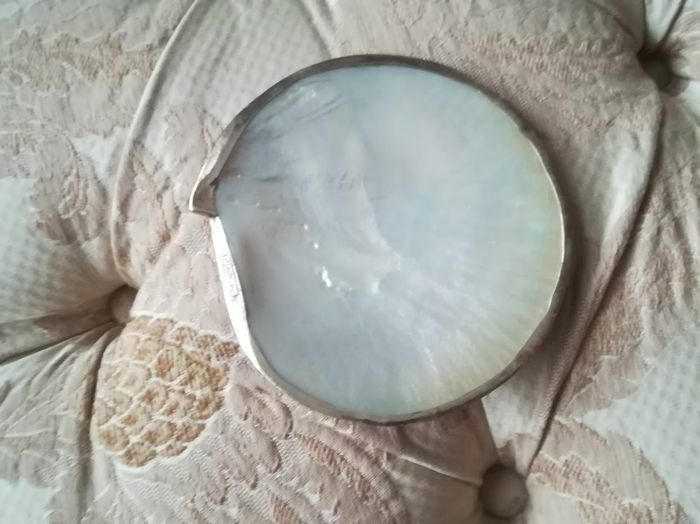 In good condition; it can be polished, following the personal taste. 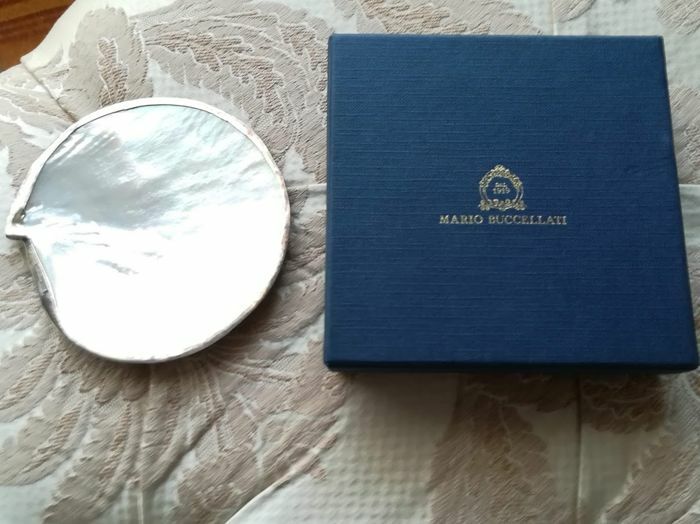 Dimensions: width approx. 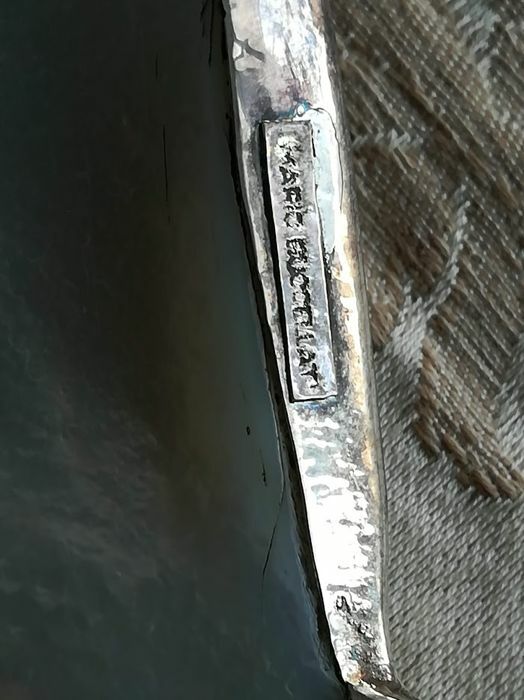 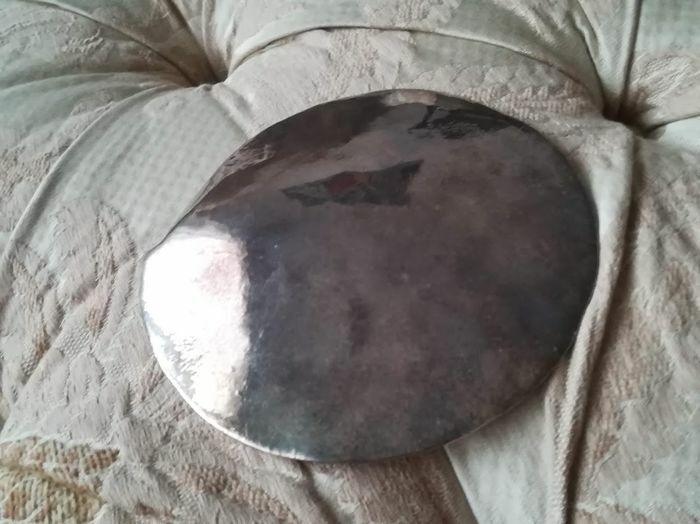 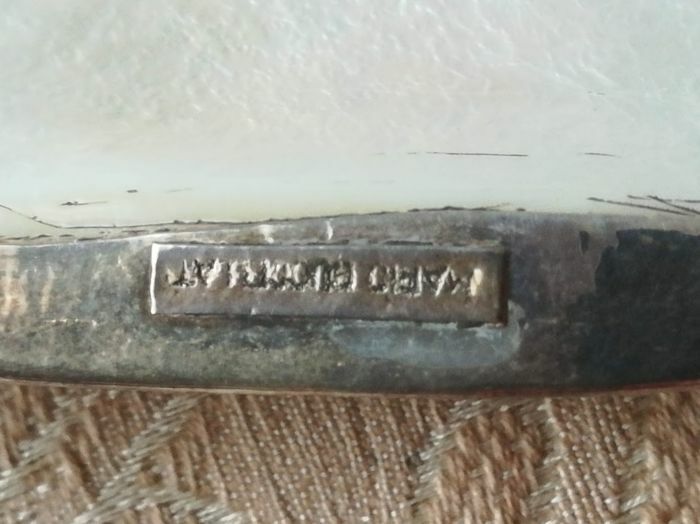 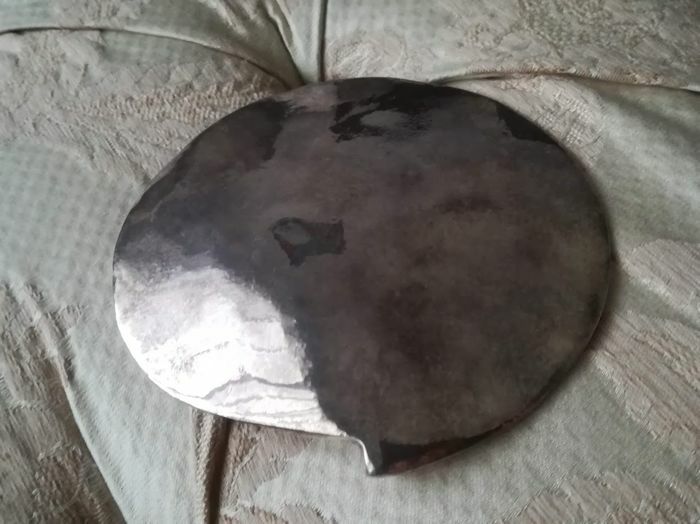 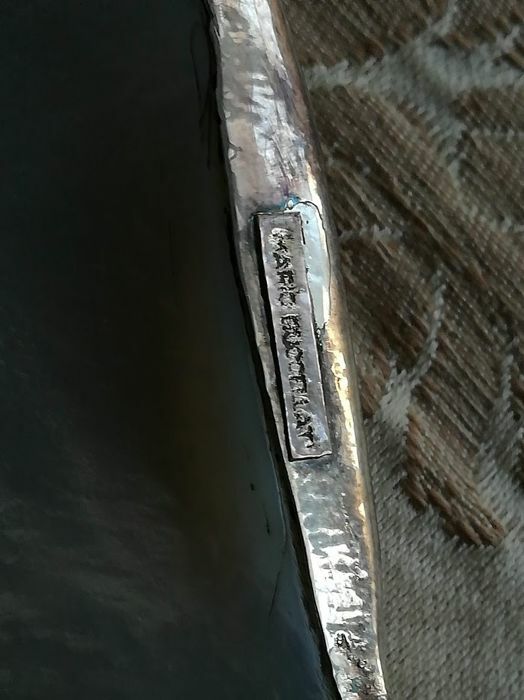 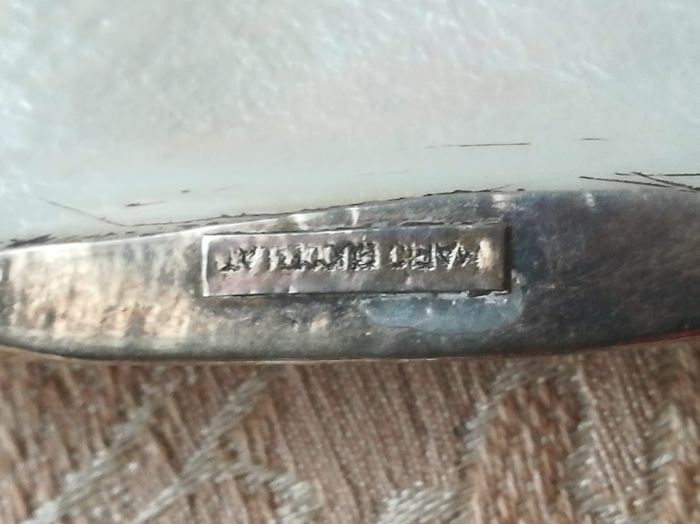 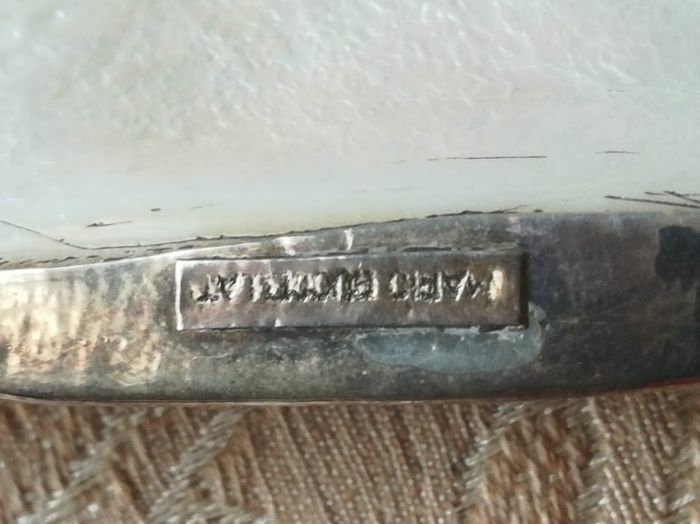 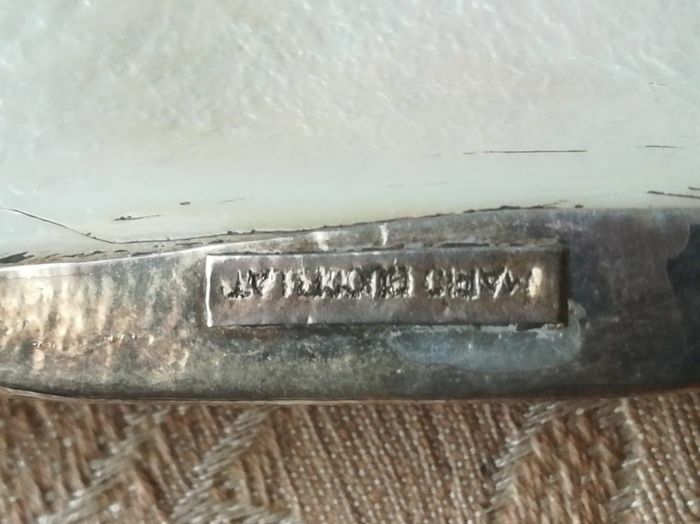 11 cm, length approx. 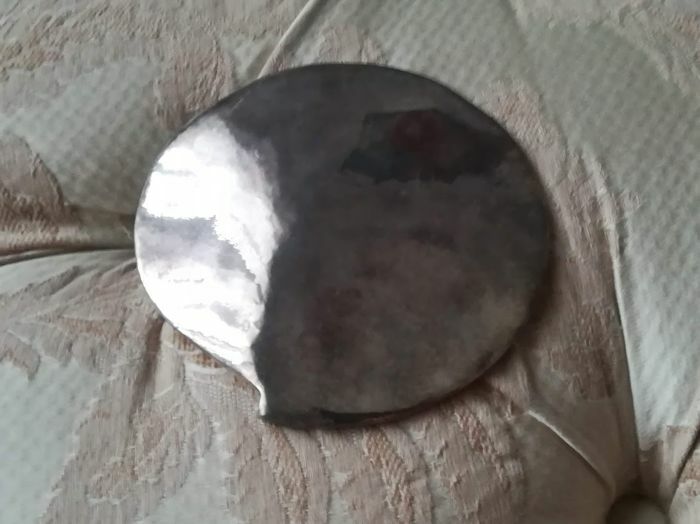 11 cm, depth approx. 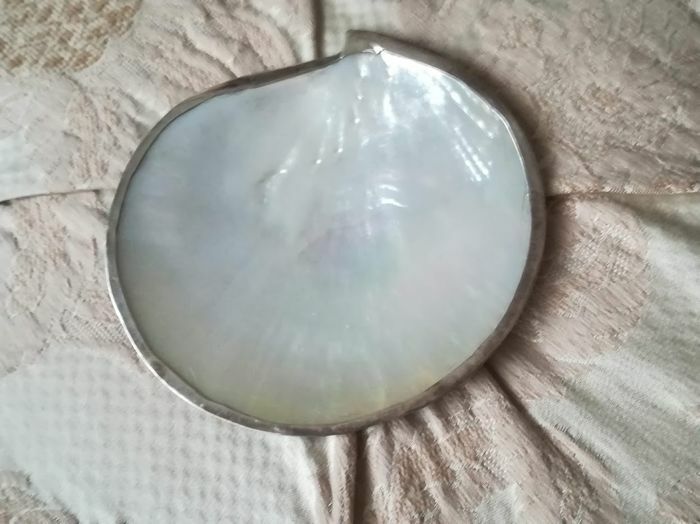 2 cm, diameter 11 cm.